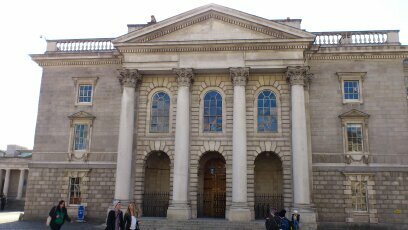 As booksales go the annual one held in Trinity College is one of the best. Spread over three days there is something for everyone and the ‘price is definitely right’. 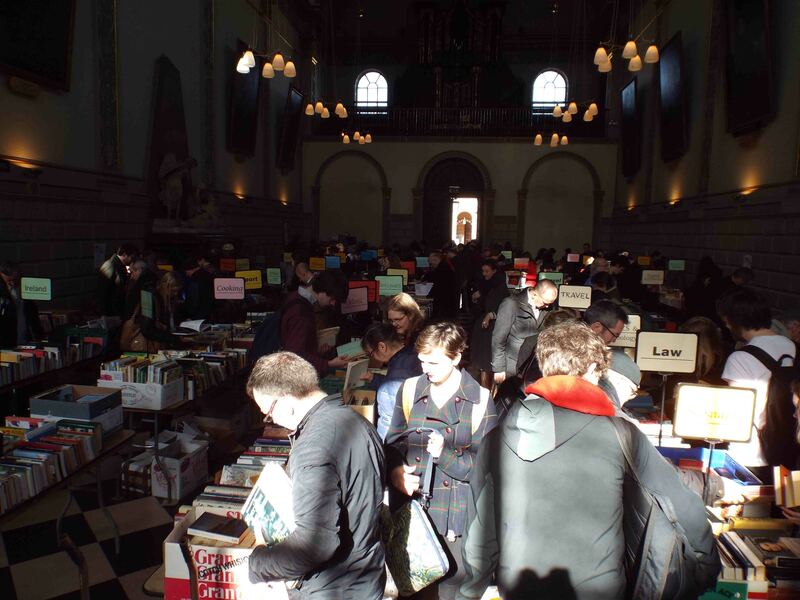 This year is the 29th Annual Trinity Secondhand Booksale and the place will, no doubt, be as busy as ever. All the books are donated during the year by staff and students, and the funds raised are used for the purchase of materials for various college libraries. So, not only are you getting a bargain but helping improve college facilities. The old Exam Hall, a place steeped in history with wonderful paintings on show, is a splendid venue and worthy of a visit in its own right. There you be surrounded in the steady murmur of book hunters searching for bargains as they shuffle from one stuffed table of books to another. The books are usually laid out under various heads; like History, Sport, Science, Languages, Philosophy, Adventure and many, many more. It’s always a treat and you will find oodles to choose from – and at the right price! As the tables of books are emptied they are just as quickly refilled by volunteers. Many buyers slide cardboard boxes of books from table to table – something that I’ve not seen anywhere else – as they gather their precious finds. You can get a year’s reading here for the price of a couple of new books – and that’s what most people tend to do. It’s a book lover’s heaven – so happy hunting and reading!